NOTE: Please select the number of places you require from the drop-down menu. Availability will be displayed such that only the number of places available for that slot will be listed. Payment is by Paypal. If you don’t have a Paypal account, you can still pay with your credit card as a Paypal guest, after you select Paypal and click "continue". Visa, Mastercard, Amex and Discover are accepted. Please call us for other options if no Segway tours are available on your chosen date or time. 1. I declare that I am physically fit to undertake this tour. I will not use my mobile phone and will not smoke while riding a Segway or Trikke. I will give my full attention to riding safely and will follow the guide’s instructions throughout the tour. I will be a civil member of the group and agree that if I engage in any unsafe, reckless, irresponsible, dangerous, negligent, inconsiderate or unlawful behaviour my Segway experience will be terminated and no refund will be given. 2. I am responsible for returning the Segway or Trikke in the same condition as I received it at the beginning of my Segway Experience. I agree to be personally responsible for any damage I cause to the Segway or Trikke and to pay the requisite amount, as determined by Segway Station, to address this damage. 3. I understand that there is a risk of accident or injury when riding a Segway or Trikke and that I undertake this riding experience at my own risk. I will not hold Segway Station or its parent company or employees responsible for any accident or injury that may occur during my riding experience. If I cause any accident, I agree to be held responsible for it. Segways are self-balancing, zero-emissions, noiseless personal transporters, with a maximum speed of 12.5 miles per hour / 20 kilometres per hour. They are high-tech devices, initially introduced in 2001 and over time developed further with enhanced balancing and safety features. Segways are great fun to ride; you get the feeling that you are gliding effortlessly on a magic carpet. Riding a Segway is also a very efficient way to experience a city in a limited amount of time, visiting areas and sights that would otherwise take a couple of days to see. For more information on the Segway, you may visit the manufacturer’s website at www.segway.com. Are there age / weight limits to ride the Segway? Yes. Riders must be above 40kg, and below 115kg, according to manufacturer specifications. Minimum age to go on the Segway Station tour is 10 years old and the minimum height is 140cm. Anyone below 16 years old must be accompanied by a parent or guardian. We have a 15-minute training and orientation session at the start of each tour, to ensure that everyone is comfortable riding a Segway. In this orientation session we emphasize safe riding practices that everyone must follow. Is a reservation needed to take part in a Segway Station tour? 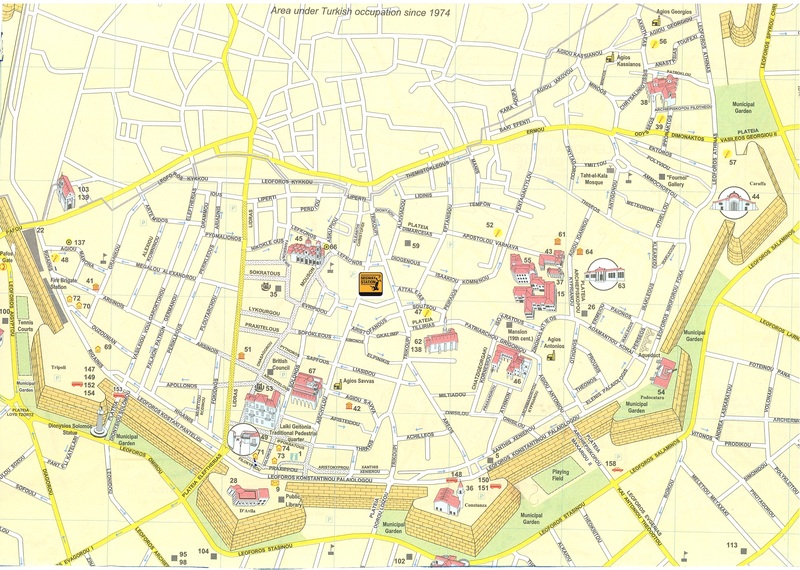 Since the tours have limited capacity and are very popular, it is advisable to reserve. Alternatively you could make your way to Segway Station, but may have to wait for the next available spaces on a tour. Having said that, you could always relax in our cafe/lounge area while you wait. Do you accept group bookings for corporate events? We would be delighted to organise Segway tours or make Segways available as part of your corporate teambuilding or promotional events at special rates, please contact us for further discussion. You may cancel your reservation at least 48 hours (2 days) before your scheduled booking, in which case we offer a full refund. Within 48 hours of your scheduled booking, we do not offer any refunds. Please try to arrive at least 15 minutes before your scheduled booking. If someone does not turn up for their scheduled tour, their booking is terminated and no refunds are given. Do the tours take place if it is raining? Yes. We hand out ponchos and proceed with the tour. This is rarely necessary however, given the mild and sunny Cyprus climate. Yes. Your full attention is needed when riding a Segway. No smoking or use of mobile phones is allowed while riding, and any inappropriate behaviour by a tour participant will lead to their participation being cancelled with no refund given, as well as a permanent ban from Segway Station. Finally, please note that high-heeled shoes are not suitable for riding a Segway, so please remember to wear comfortable shoes and clothing. 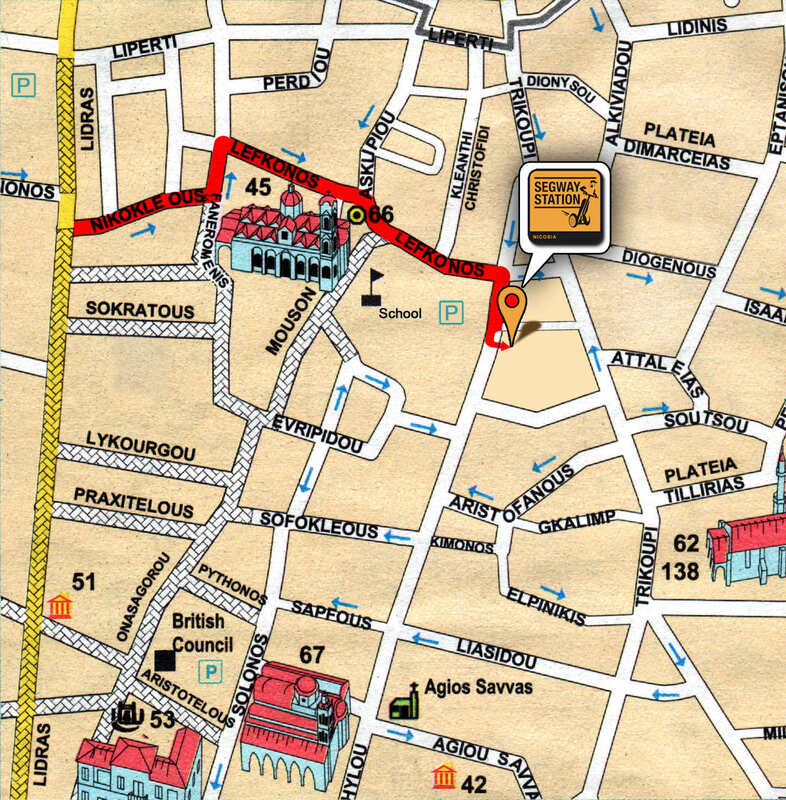 We are located in Nicosia's Old Town. You can find us easily by typing "Segway Station" in Google maps. We respect your privacy and will never sell or distribute your details. 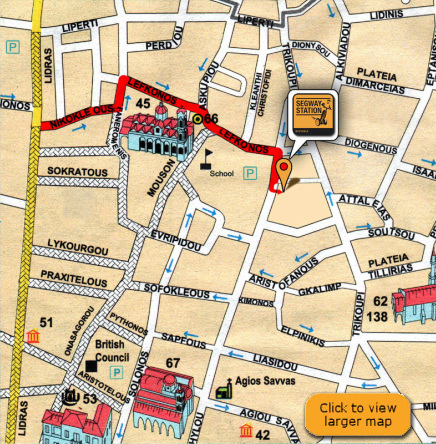 Need a larger map of Nicosia Old Town? Click here to download.